Are you ready for a new pro grade Mac? Apparently, Apple is nearly ready to deliver just that. The interesting twist in this story is that the product is described as a “Mac Pro replacement,” which sounds very much like Apple will deliver an all new product rather than a 2013 Mac Pro housed in a big Aluminum box. See also: Apple Introduces All New Mac Pro at WWDC 2013! 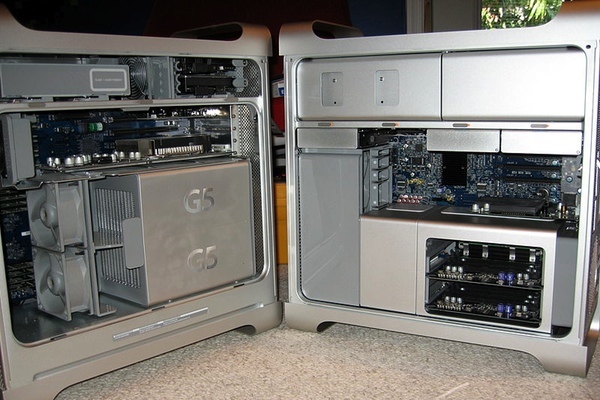 In line with an earlier Tapscape report that the Mac Pro 2013 release date will be in Spring, here comes a rumor that an updated pro grade Mac could ship as soon as this month. That said, Apple delivered a series of pro video app updates, including Final Cut Pro X and Compressor, in late March. Additionally, Saphire and EVGA recently shipped Mac compatible HD 7950 and GTX 680 cards, respectively, which can only be installed in a PCIe equipped Mac (a.k.a. the Mac Pro). Perhaps coincidences all, yet these things, the apps and hardware, bolster the idea that a Mac Pro update is imminent. What will it look like? The rumor mill is remarkably silent on the subject, though designer and Mac fan Peter Zigich applied his hopes and skills, creating a series of Mac Pro modules. Yes, that’s a lot of assumption and speculation. Further, MacDailyNews has a sketchy at best Apple rumorological record.